Few personalities are so close yet so distant to India's populace as the Governor of the Reserve Bank and few evocative of his awe and mystique: close, because virtually every individual, be he ever so poor or so rich, carries on his person the promise and signature of the Governor. Distant because central bankers are traditionally conservative and publicity shy. Awe they command as the custodian of the country's reserves and defenders of the external value of the currency. And, mystique they possess as purveyors of money, the commodity all desire but so few understand. Behind the mist, and shorn of the public perception, the personality of the governor assumes importance in a specific context, the governor, more than any public or private functionary in the country, has the mandate of securing the monetary stability of the country. This impinges on the day to day life of ordinary citizens. Sir Osborne Smith was the first Governor of the Reserve Bank. A professional banker, he served for over 20 years with the Bank of New South Wales and 10 years with the Commonwealth Bank of Australia before coming to India in 1926 as a Managing Governor of the Imperial Bank of India. His stewardship of the Imperial Bank won him recognition in banking circles in India. However, his outlook on policy issues like the exchange rates and interest rates was at variance with that of the Government. He resigned prior to the completion of his term of office of three and a half years. Sir Osborne, however, did not sign any bank notes during his tenure. Sir James Braid Taylor was a member of the Indian Civil Service and had served for over a decade in the Currency Department of the Government of India, initially as a Deputy Controller, later as Controller of the Currency, and thereafter as additional secretary in the Finance Department. He was closely associated with the preparation and piloting of the Reserve Bank of India Bill. He served as Deputy Governor of the Bank prior to his appointment as the Governor. His stewardship saw the Bank through the war years and the financial experiments it engendered and catalysed, including the decisive break away from a silver currency to fiat money. His second term came to an end with his sudden demise. Chintaman Dwarkanath Deshmukh, a member of the Indian Civil Service, was the first Indian Governor of the Bank. His association with the Bank commenced in 1939, when he was appointed Government's liason officer. He later served as Secretary and thereafter in 1941 as Deputy Governor of the Bank. On the demise of James Taylor, he took over stewardship of the Bank and was appointed Governor in August, 1943. During his tenure as Governor, he represented India at the Bretton Woods negotiations in 1944, saw the transition to Independence and the partition of the country and the division of the assets and liabilities of the Reserve Bank between India and Pakistan. He helped the smooth transition of the Bank from a shareholder's institution to a State owned organisation, when the Bank was nationalised on 1st January 1949. He later held the office of Union Finance Minister between 1950-56. Sir Benegal Rama Rau, a member of the Indian Civil Service, was the longest serving Governor of the Bank. Prior to joining the Bank he served as the Indian Ambassador to the United States. His tenure witnessed the commencement of the Planning Era as well innovative initiatives in the spheres of co-operative credit and industrial finance. The recommendations of the All India Rural Credit Survey Committee appointed during his tenure led to the transformation of the Imperial Bank of India to State Bank of India. The proportional reserve system of note issue was replaced by a minimum reserve system to give the Bank greater flexibility. He resigned in the middle of January 1957 before his second extended term of office expired due to differences with the Finance Minister. K. G. Ambegaokar, a member of the Indian Civil Service, served as Finance Secretary prior to his appointment as Deputy Governor. On the resignation of B. Rama Rau, he was appointed as the interim Governor till H V R Iengar could take over. He forged closer connections between agricultural enterprise and the Reserve Bank's operations. K G Ambegaonkar did not sign any bank notes. H V R Iengar, a member of the Indian Civil Service, served for a brief while as the Chairman of State Bank of India, before being appointed as the Governor of the Reserve Bank. His tenure witnessed India's shift to decimal coinage from the earlier system. The period saw conscious efforts to consolidate the banking industry. The Bank acquired powers in September 1960 to enforce amalgamations and delicensing of banks. The Bank was also active in catalysing medium term lending to industry by commercial banks by invoking the concept of refinance which led to the establishment of the Refinance Corporation for Industry Ltd. Deposit Insurance for bank deposits was introduced in 1962 making India one of the earliest countries to experiment with Deposit Insurance. In the sphere of monetary policy, the variable cash reserve ratio was used for the first time as were the selective credit controls. P C Bhattacharya, a member of the Indian Audit and Account Service, served as Secretary in the Finance Ministry and later as Chairman of the State Bank of India prior to his appointment as Governor. His tenure saw the establishment of the Industrial Development Bank of India (1964), and the establishment of the Agricultural Refinance Corporation (1963) and the Unit Trust of India (1964). Other developments were the introduction of the Credit Authorisation Scheme as an instrument of Credit Regulation, the devaluation of the Rupee in 1966, with a package of measures including import liberalisation and elimination of export subsidies. L K Jha, a member of the Indian Civil Service, served as Secretary to the Prime Minister, prior to his appointment as Governor. During his tenure, social controls over commercial banks were introduced as an experiment in 1968, as a part of which a National Credit Council was established. Shortly thereafter, 14 major commercial banks were nationalised in 1969, a step which did not have the endorsement of the Reserve Bank. Amongst other developments, gold controls were brought on a statutory basis; Deposit Insurance was in principle extended to Cooperative banks; the Lead Bank Scheme was introduced to facilitate credit delivery, and the setting up of the Agricultural Credit Board.L K Jha was appointed India's Ambassador to the United States in May 1970 prior to the completion of his term as Governor. B N Adarkar held the post of Governor during the interregnum till S Jagannathan could take over as Governor. He was a professional economist and served for many years in the office of the Economic Adviser of the Government of India and also held important positions in the Ministry of Commerce & Industry prior to his appointment as the Deputy Governor of the Bank. He also served as India's Executive Director at the IMF and as Deputy Governor, he played an active role in the establishment of the National Institute of Bank Management. S Jagannathan was a member of the Indian Civil Service. He had served with the Central Government and thereafter as India's Executive Director at the World Bank, prior to being appointed as the Governor. His tenure of office was characterised by a very active monetary policy in the wake of unprecedented inflation in the country following the oil shock, an exponential expansion of banking offices in pursuance of one of the important objectives of nationalisation; the establishment of Credit Guarantee Corporation of India, the setting up of State Level Bankers' Committees and the shift to floating rates regime. He relinquished office to take up the post of the Indian Executive Director at the IMF. N C Sen Gupta was appointed Governor for three months till K R Puri could assume office. Prior to his appointment as the Governor, he was working as Secretary to the Department of Banking of the Ministry of Finance. K R Puri served as the Chairman and Managing Director of the Life Insurance Corporation of India before his appointment as Governor. During his tenure, Regional Rural Banks were set up; the Asian Clearing Union commenced operations; the twenty point economic programme was announced and operationalised and a new money supply series introduced. M Narasimham was the first and so far the only Governor to be appointed from the Reserve Bank cadre, having joined the Bank as a Research Officer in the Economic Department. He later joined the Government and prior to his appointment as Governor he served as Additional Secretary, Department of Economic Affairs. He had a short tenure of seven months. He later served as Executive Director for India at the World Bank and thereafter at the IMF after which he served in the Ministry of Finance as Secretary. He was chairperson of the Committee on the Financial System, 1991 and the Committee of Banking Sector Reforms, 1998. Dr. I G Patel an economist and administrator, joined the Reserve Bank as Governor after serving as Secretary in the Ministry of Finance and thereafter at the UNDP. His tenure witnessed the demonetisation of high denomination notes as well as the "gold auctions" conducted by the Bank on behalf of Government of India. During his tenure six private sector banks were nationalised, targets for priority sector lending introduced, and the Deposit Insurance and Credit Guarantee Corporations were merged, and a Departmental reorganisation was undertaken in the Bank. He played an active role in availing of the IMF's Extended Fund Facility in 1981 due to balance of payments difficulties. This represented the largest arrangement in IMF's history at the time. During his tenure comprehensive legal reforms were carried out related to the banking sector and a new chapter introduced in the Reserve Bank of India Act and the Urban Banks Department was set up. After his tenure in the Bank, he served in various capacities before being appointed Finance Minister. His tenure as Finance Minister was notable for the fact that he heralded in liberalisation and comprehensive reforms in India. A Ghosh was the Deputy Governor of the Bank since 1982 when he was appointed Governor for a brief period of 15 days till R N Malhotra could take over. He was earlier the chairman of Allahabad Bank prior to his appointment as the Deputy Governor of the Bank. He was also a Director of the Industrial Development Bank of India and the governing body of the National Institute of Bank Management. R.N. Malhotra, a member of the Indian Administrative Service, served as Secretary, Finance and Executive Director of the IMF. prior to his appointment as Governor. During his tenure efforts were made to develop the money markets and new instruments were introduced. The Discount and Finance House of India, the National Housing Bank were set up and the Indira Gandhi Institute of Development Research inaugurated. In the field of rural finance, the Service Area Approach was adopted as an approach catalyse the flow of credit through commercial banks. S Venkitaramanan, a member of the Indian Administrative Service, had served as Finance Secretary and adviser to the Government of Karnataka prior to his appointment as Governor. The country faced difficulties related to the external sector during his tenure. His adroit management saw the country tide over the balance of payments crisis. His term also saw India adopt the IMF's stabilisation programme where the Rupee underwent a devaluation and the launch of the programme of economic reforms. Dr. C Rangarajan was a professional economist. Prior to his appointment as the Governor, he held charge as Deputy Governor for over a decade. He was also a member of the Planning Commission and a member of the Tenth Finance Commission. His tenure as Governor saw unprecedented central bank activism to put in place a comprehensive set of measures to strengthen and improve the competitive efficiency of the financial sector. New institutions and instruments were introduced and changes in exchange rate management culminated in the establishment of a unified exchange rate. In the field of monetary policy, his tenure saw the historic memorandum signed between the Bank and the Government whereby a cap was put on the automatic finance by the Bank to the Government in the form of ad hoc treasury bills. Dr. Bimal Jalan, served as Chief Economic Advisor to Government of India, Banking Secretary, Finance Secretary, Member Secretary of Planning Commission, and Chairman of the Economic Advisory Council to the Prime Minister prior to being appointed as Governor. He had also represented India on the Executive Boards of the IMF and the World Bank. During his tenure, India weathered the Asian Crisis and has seen the consolidation of the gains of liberalisation and economic reforms. The monetary policy process was demystified and central bank communications marked a perceived shift towards transparency. This period has seen a slew of measures to strengthen the banking sector, establish new institutions and introduce new instruments. The period has been characterised by the strengthning of the balance of payments and forex position,low inflation and soft interest rates. Dr. Yaga Venugopal Reddy the twenty-first Governor, is a member of the Indian Administrative Service. He has spent most of his career in the areas of finance and planning. He served as Secretary (Banking) in Ministry of Finance, Additional Secretary, Ministry of Commerce, Joint Secretary in Ministry of Finance in Government of India, Principal Secretary, Government of Andhra Pradesh and had a a six year tenure as Deputy Governor of the Reserve Bank of India. Prior to his appointment as the Governor, Dr. Reddy was India's Executive Director on the Board of the International Monetary Fund. Dr. Reddy has made significant policy contributions in the areas of financial sector reforms; trade finance; monitoring of balance of payments and exchange rate; external commercial borrowings; centre-state financial relations; regional planning; and public enterprise reform and has been closely associated with institution building. He has several publications to his credit mainly in areas relating to finance, planning and public enterprises. Dr. D. Subbarao took over on September 5, 2008 as the 22nd Governor of the Reserve Bank of India. Dr. Subbarao has been appointed for a three-year term. Prior to this appointment, Dr. Subbarao was the Finance Secretary in the Ministry of Finance, Government of India. Dr. Subbarao has earlier been Secretary to the Prime Minister's Economic Advisory Council (2005-2007), lead economist in the World Bank (1999-2004), Finance Secretary to the Government of Andhra Pradesh (1993-98) and Joint Secretary in the Department of Economic Affairs, Ministry of Finance, Government of India (1988-1993). Dr. Subbarao has wide experience in public finance. In the World Bank, he worked on issues of public finance in countries of Africa and East Asia. He managed a flagship study on decentralisation across major countries of East Asia including China, Indonesia, Vietnam, Philippines and Cambodia. Dr. Subbarao was also involved in initiation of fiscal reforms at the state level. Dr. Subbarao has written extensively on issues in public finance, decentralisation and political economy of reforms. Born on August 11, 1949, Dr. Subbarao holds a B.Sc (Hons) in Physics from the Indian Institute of Technology, Kharagpur and M.Sc in Physics from the Indian Institute of Technology, Kanpur. Dr. Subbarao also holds an MS degree in Economics from Ohio State University. He was a Humphrey fellow at MIT during 1982-83. He has a Ph.D. in Economics with thesis on fiscal reforms at the sub-national level. Dr. Subbarao was a topper in the All India Civil Service examination for entry into Indian Administrative Services and Indian Foreign Services in 1972. He was one of the first IITians to join the civil service. Dr. Raghuram Rajan assumed charge as the 23rd Governor of the Reserve Bank of India on September 4, 2013. Prior to this, he was the Chief Economic Advisor, Ministry of Finance, Government of India and the Eric J. Gleacher Distinguished Service Professor of Finance at the University of Chicago's Booth School. Between 2003 and 2006, Dr. Rajan was the Chief Economist and Director of Research at the International Monetary Fund. Dr. Rajan's research interests are in banking, corporate finance, and economic development, especially the role finance plays in it. He has co-authored Saving Capitalism from the Capitalists with Luigi Zingales in 2003. He then wrote Fault Lines: How Hidden Fractures Still Threaten the World Economy, for which he was awarded the Financial Times-Goldman Sachs prize for best business book in 2010. Dr. Rajan is a member of the Group of Thirty. He was the President of the American Finance Association in 2011 and is a member of the American Academy of Arts and Sciences. In January 2003, the American Finance Association awarded Dr. Rajan the inaugural Fischer Black Prize for the best finance researcher under the age of 40. The other awards he has received include the global Indian of the year award from NASSCOM in 2011, the Infosys prize for the Economic Sciences in 2012, and the Center for Financial Studies-Deutsche Bank Prize for financial economics in 2013. Born on February 3, 1963, Dr. Rajan is married to Radhika and has two children. Dr. Urjit R. Patel assumed charge as the twenty-fourth Governor of the Reserve Bank of India effective September 4, 2016 after serving as Deputy Governor since January 2013. He was re-appointed as Deputy Governor on January 11, 2016 after completion of his first three-year term of office. Among his assignments as Deputy Governor, Dr. Patel chaired the Expert Committee to Revise and Strengthen the Monetary Policy Framework. Representing India, he actively participated in steering the signing into force of the inter-governmental treaty and the Inter-Central Bank Agreement (ICBA) among the BRICS nations, which led to the establishment of the Contingent Reserve Arrangement (CRA), a swap line framework among the central banks of these countries. Dr. Patel has also served at the International Monetary Fund (IMF). He was on deputation from the IMF to the Reserve Bank during 1996-1997, and in that capacity he provided advice on development of the debt market, banking sector reforms, pension fund reforms, and evolution of the foreign exchange market. He was a Consultant to the Ministry of Finance (Department of Economic Affairs), Government of India, from 1998 to 2001. He has also had other assignments in the public and private sectors. Dr. Patel has worked closely with several central and state government high level committees, including the Task Force on Direct Taxes (Kelkar Committee), the High Level Expert Group for Reviewing the Civil & Defence Services Pension System, the Prime Minister’s Task Force on Infrastructure, the Group of Ministers on Telecom Matters, the Committee on Civil Aviation Reforms and the Ministry of Power’s Expert Group on State Electricity Boards. Dr. Patel has several publications in the areas of Indian macroeconomics, monetary policy, public finance, the Indian financial sector, international trade, and regulatory economics. Dr. Patel has a Ph.D in economics from Yale University, an M. Phil from University of Oxford and a B. Sc. from the University of London. 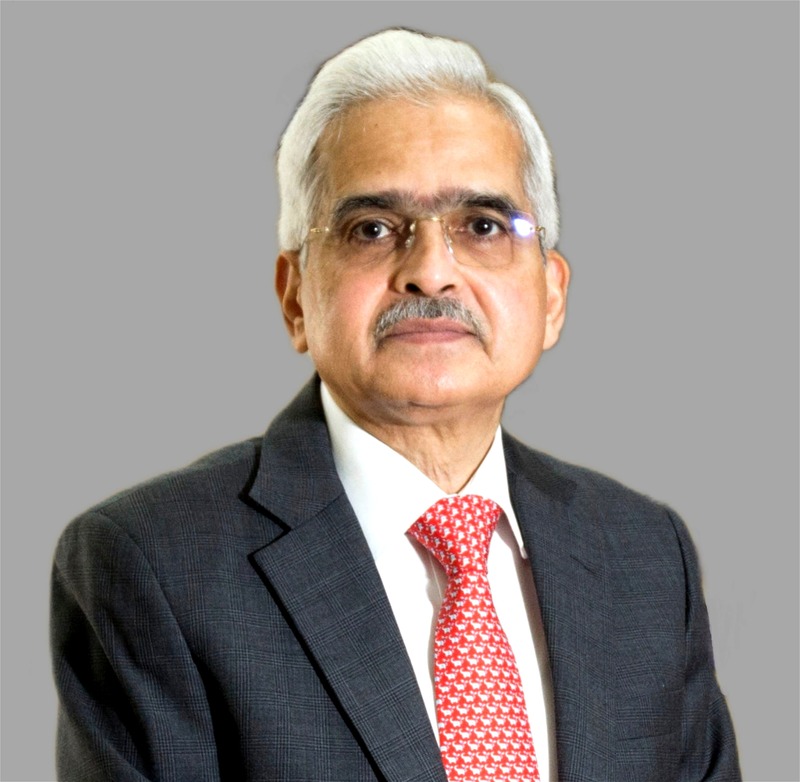 Shri Shaktikanta Das, IAS Retd., former Secretary, Department of Revenue and Department of Economic Affairs, Ministry of Finance, Government of India assumed charge as the 25th Governor of the Reserve Bank of India effective December 12, 2018. Immediately prior to his current assignment, he was acting as Member, 15th Finance Commission and G20 Sherpa of India. Shri Shaktikanta Das has vast experience in various areas of governance in the last 38 years. Shri Das has held important positions in the Central and State Governments in the areas of Finance, Taxation, Industries, Infrastructure, etc. During his long tenure in the Ministry of Finance, Government of India, he was directly associated with the preparation of as many as 8 Union Budgets. Shri Das has also served as India’s Alternate Governor in the World Bank, Asian Development Bank (ADB), New Development Bank (NDB) and Asian Infrastructure Investment Bank (AIIB). He has represented India in international fora like the IMF, G20, BRICS, SAARC, etc. Shri Shaktikanta Das is a postgraduate from St. Stephen’s College, Delhi University.